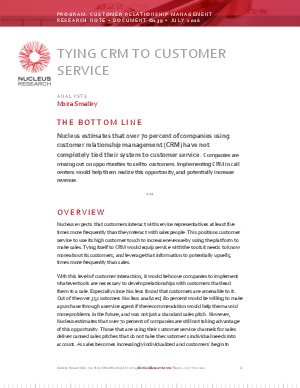 Nucleus estimates that over 70% of companies using Customer Relationship Management (CRM) have not completely tied their systems to customer service. This report shows why they should. Learn how you can empower customer service to take advantage of untapped revenue opportunities.